Best News Feature (Online) went to SBLA Communities Editor Sahra Sulaiman for her excellent March 2014 article To Be or Not To Be a Gang-Banger: Is that Really the Question? Online Journalist of the Year went to Brian Addison for his work at SBLA sister site LongBeachIze, as well as at the Long Beach Post. Best Group Blog went to the Streetsblog Los Angeles 2014 team: Melanie Curry, Joe Linton, Damien Newton, and Sahra Sulaiman. This is the second year in a row that we received this honor. Kudos to all the winners, and to the rest of the nominees, too. If you read SBLA and you like the daily award-winning coverage we provide, please support us! 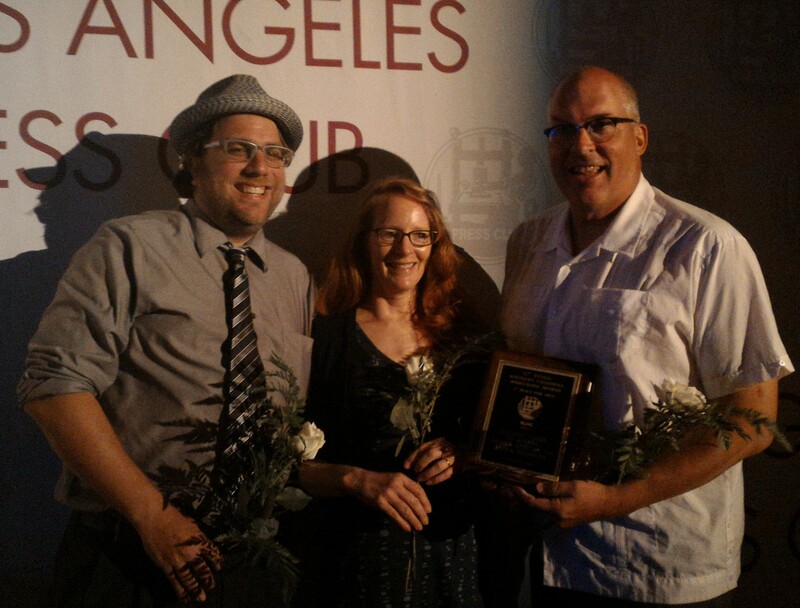 L.A. Press Club Honors Streetsblog Los Angeles as Best News Blog in L.A.